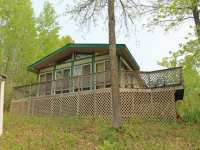 THIS YEAR-ROUND STONY LAKE HOME HAS TONS TO OFFER: FANTASTIC LAKE VIEWS FROM ALMOST EVERY ROOM. 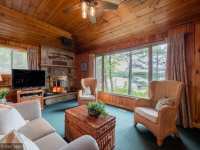 KNOTTY PINE ACCENTS THROUGH GIVE THIS HOME A COZY "UP NORTH" FEELING. 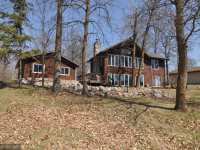 3 . . .
WATCH MAGNIFICENT SUNSETS FROM THIS 4 BR, 2 BA WALKOUT YEAR-ROUND LAKE HOME ON BIG DEEP LAKE. THERE IS NO PUBLIC ACCESS &AMP; LITTLE BOAT TRAFFIC. THERE IS 216 FEET OF . 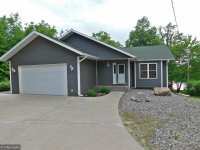 . .
GORGEOUS, YEAR-ROUND, 3-BED/2-BATH HOME ON STONY LAKE. 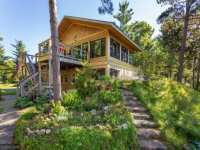 WITH THE PERFECT BALANCE OF UP-NORTH CHARM &AMP; MODERN FINISHES, THIS HOME IS SURE TO IMPRESS! 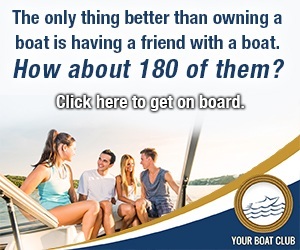 FEATURES INCLUDE: . 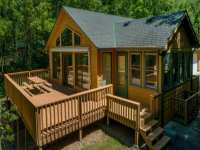 . .
OVER 350 FEET OF SHORE LINE WITH SPECTACULAR VIEWS OF BUNGY BAY THROUGH THE TALL TOWERING PINES. 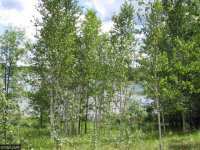 APPROXIMATELY 15-20 FEET OF GRADUAL ELEVATION TO A SWIMMABLE LAKE FRONT. . . .
TWO LOTS, ALMOST 3 ACRES, WITH A HOME AND LAKE LOT. HOME HAS THE UP NORTH FEEL AND FURNITURE HAND . . .
REAL COUNTRY CHARMER! 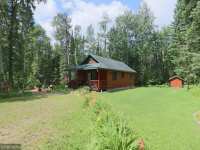 BEST OF EVERYTHING WITH A PAVED (PLOWED) ROAD AND NEAR HACKENSACK AND ONLY MINUTES TO LONGVILLE AS WELL! 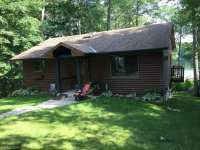 VERY CUTE YEAR ROUND LAKE HOME WITH VERY . . .
ONE OF THE GREATEST BEACHES IN CASS COUNTY! 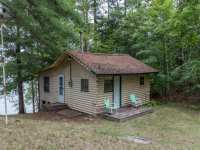 THIS CHARMING CABIN BOASTS A HARD SAND BEACH THAT IS 178' WIDE AND OVER 70' DEEP! FEATURES INCLUDE AN ORIGINAL REAL STONE . . . 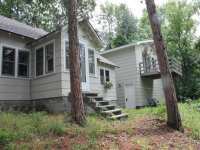 ENJOY THIS 2 BR LAKE PROPERTY W/ SPECTACULAR SUNSET VIEWS THROUGH THE TALL TOWERING PINES. 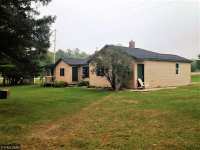 QUAINT KNOTTY PINE CABINETS IN THE KITCHEN, FULL BATH, &AMP; LIVING/DINING . 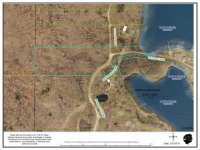 . .
38.5 ACRES WITH 340 FEET OF SHORELINE ON PICKEREL LAKE NEAR HACKENSACK. 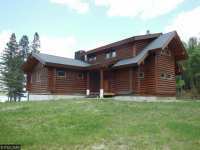 HUNT, FISH, CAMP OR BUILD THE OPTIONS ARE ENDLESS. 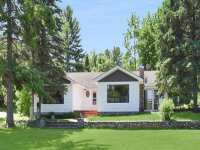 THIS IS A BEAUTIFUL PROPERTY WITH A MIX OF . . . 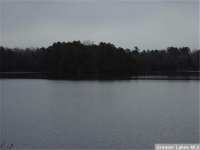 VERY PRIVATE 12 ACRE LOT ON KERR LAKE. 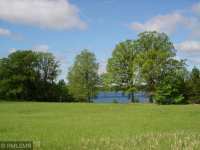 THIS PROPERTY HAS 742 FEET OF FRONTAGE ON AN 88 ACRE . . . 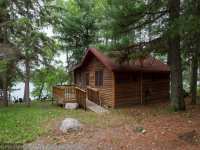 THIS CHARMING, FULLY FURNISHED CABIN IS PART OF SHADY SHORES RESORT ON BEAUTIFUL BIRCH LAKE. THIS . 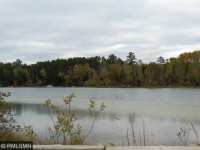 . .
NICE WOODED ONE ACRE LAKE LOT ON WEBB LAKE. 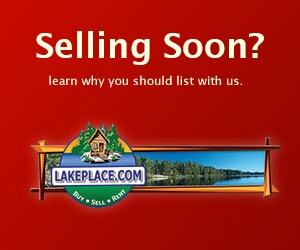 LOT IS READY FOR YOUR DREAM LAKE HOME ON PRIVATE END OF THE ROAD LOCATION. 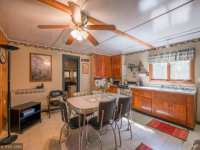 GREAT FISHING AND BOATING AND CLOSE TO HACKENSACK. . . . 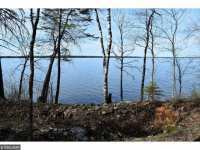 STUNNING PENINSULA LAKE LOT ON "ON GOLDEN POND" MCKEOWN LAKE. MARVELOUS VIEWS FROM EVERY DIRECTION. . . . 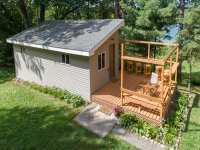 LOOKING FOR PRIVACY AND NATURAL BEAUTY WITH LOW DENSITY? LOST LAKE IS THE PERFECT ANSWER! "IT'S LIKE BEING IN THE BOUNDARY WATERS"! GOOD BUILDING PAD AREAS FOR YOUR . . . 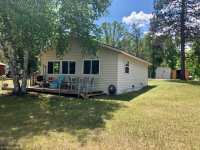 WITHIN MINUTES OF DOWN TOWN HACKENSACK, IS THIS LAKESHORE LOT IN SOUTH BEACH ACRES WITH 122 FEET FACING THE SHORE, AND USE OF THE COMMON AREA HAS PICNIC/GATHERING AREA, . . . 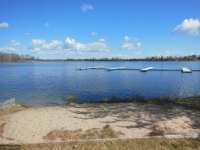 WITHIN MINUTES OF DOWN TOWN HACKENSACK, IS THIS LAKESHORE LOT IN SOUTH BEACH ACRES WITH 114 FEET FACING THE SHORE, AND USE OF THE COMMON AREA HAS PICNIC/GATHERING AREA, . 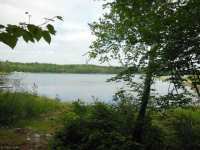 . .
BARNUM LAKE OFFERS SUCH A PEACEFUL ENVIRONMENT! 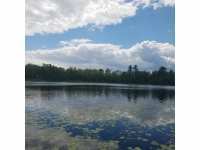 IF YOU ARE LOOKING FOR THAT "UP NORTH" FEELING THIS IS THE LAKE THAT YOU WANT TO BE ON. TUCKED BACK IN THE WOODS, WITH NO . 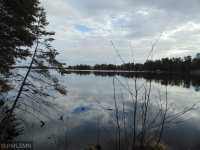 . .
GREAT LOT ON TRILLIUM LAKE, ON THIS LOT YOU COULD BUILD A WALKOUT HOME, PRIVATE LOT WITH A ROAD EASEMENT TO THE LOT. 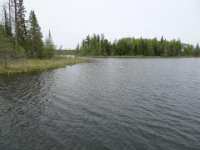 GREAT FISHING LAKE ALSO. BUILD YOUR WEEKEND RETREAT . . .
BLACKWATER LAKE BEAUTY! 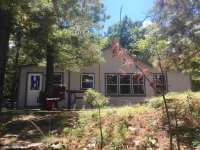 HEAVILY TREED LOT WITH ROLLING TOPOGRAPHY. 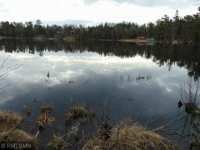 A LITTLE SITE-CLEARING, &AMP; THIS COULD BE YOUR PERFECT GETAWAY TO THE GREAT FISHING ON BLACKWATER . 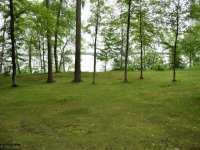 . .
LARGE LAKE LOT WITH 367 FEET OF SHORELINE AND APPROX 1.5 ACRES IN SIZE. GREAT PRIVACY! HARD BOTTOM SHORELINE MAKES FOR GOOD SWIMMING AND WATER SPORTS. THE LOT IS WELL . 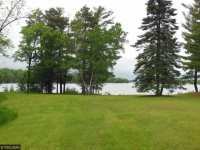 . .
LAKE LOT ON A PRIVATE PENINSULA OVERLOOKING CRYSTAL CLEAR LAKE MCKEOWN. 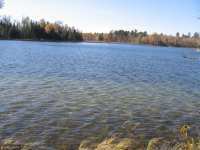 MCKEOWN OFFERS SMALL BOAT ACCESS TO MANN LAKE AND ITS CHAIN OF LAKES. NO PUBLIC BOAT ACCESS . 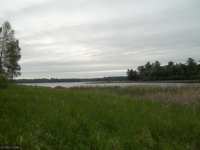 . .
580 FEET OF SHORELINE ON PAQUET LAKE. 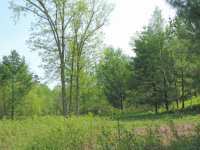 THERE ARE 4.7 ACRES OF BEAUTIFUL ROLLING, HEAVILY TREED ACREAGE TO ENJOY CLOSE TO HACKENSACK. 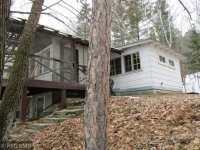 CASS COUNTY HAS THE PROPERTY VALUED . . . 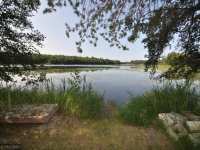 Along the eastern shore of Birch Lake in Cass County, Minnesota lies the vacation gem of Hackensack. 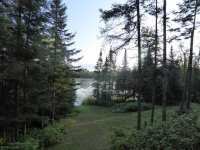 Set against the back-drop of the gorgeous Minnesota Northwoods, Hackensack offers visitors convenient access to hundreds of Minnesota lakes, the Savanna State Forest and the Chippewa National Forest. 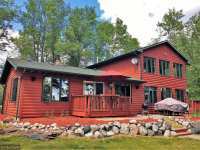 So this year, escape from the ordinary, relax in the great outdoors and create great family memories in the picturesque town of Hackensack, MN! In the late 1800's, the Minnesota and International Railroad constructed a rail line through Hackensack on what is now the site of the Paul Bunyan Trail. This effectively established Hackensack Minnesota as a center of commerce for the railroads, lumber and paper industries. 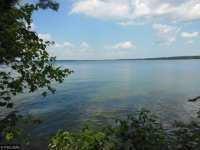 In the early 20th century, the area in and around Hackensack became a popular destination for travelers seeking relaxation in the scenic Minnesota lake country. Today, Hackensack, MN remains an ideal destination for visitors from all over the world. While Hackensack is a small community of approximately 300 permanent residents, it is still a bustling town with many activities. One such activity is the National Chainsaw Sculpting Competition, held annually in late September. Competitors in this unique competition must make one "masterpiece" carve and several "quick" carves. At the end of the three day event, these exquisite pieces of art are auctioned to the highest bidders. In the wintertime be sure to stop in for the "Back to Hack" festival featuring a parade, bonfire and snow-sculpting contest. Sweetheart Days, held each year in July, honors the legend of Paul Bunyan's sweetheart, Lucette. A statute of Lucette along with the couple's son, Paul Jr., looks over the lake. Visitors can even check out the original marriage certificate of Paul and Lucette, on display in Hackensack's Chamber of Commerce building. During the festival, visitors and locals come together to celebrate her memory with a parade, golf tournament, food, crafts and, of course, a fabulous Fourth of July fireworks display. In town, stop for a leisurely picnic lunch in Hackensack's peaceful lakeside park. Stroll through the downtown area shops. Kick back with a meal and a drink at the Riverhouse Restaurant and Lounge, or stop into Sweets Cafe for a sandwich or decadent treat. If you are seeking a truly unique experience, plan a visit to the Heart of Minnesota Emu Ranch in nearby Nevis, Minnesota. Drive north for a relaxed afternoon at the Forestedge Winery in LaPorte, a mere half an hour's drive to the north. 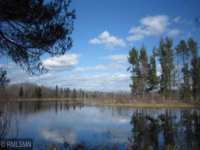 Larger Minnesota cities such as Brainerd, Grand Rapids and Bemidji are within easy driving distance from downtown Hackensack and all make excellent day trips for the entire family. Spring and summer are by far the most popular seasons to visit Hackensack. During the warm months of the year, visitors and locals alike can enjoy hiking or biking along one of the many area trails. Keep your eyes open in the forests. 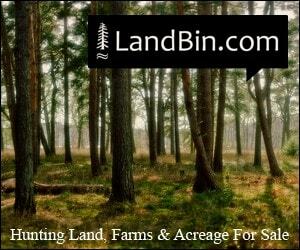 You may catch a glimpse at some outstanding species of wildlife such as deer, porcupine, bald eagles, timber wolves, coyotes, bobcats, loons and even the occasional black bear. 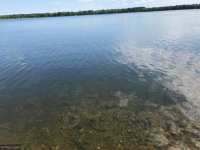 If fishing is your sport, there is an excellent Walleye Tournament on Leech Lake, held annually in late May. 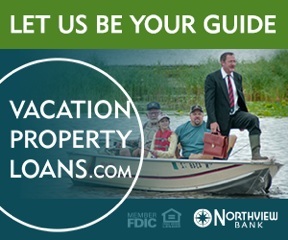 Experience the unparalleled walleye fishing of Leech Lake in the great Minnesota Northwoods. Be sure to register in advance for this tournament because spots are limited! In Hackensack itself, the local community holds weekly fishing competitions throughout the summer months. Fall is also an outstanding time of year to visit Hackensack. The crowds are small and the forests explode with a virtual cornucopia of autumn colors. 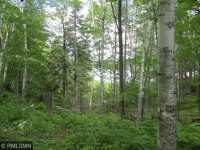 The famous Paul Bunyan trail, consisting of over 100 miles of trail, is an excellent spot to take a leisurely hike through the autumn forests. 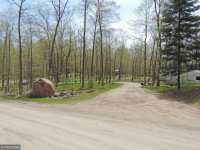 With fairly moderate autumn temperatures, camping is another wonderful fall option in and around Hackensack. So, bring your tent, light up a bonfire and cozy up with your family under the canvas of the Minnesota stars. Winter brings more classic Minnesota pastimes such as snow-shoeing and cross country skiing. 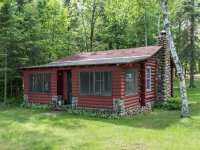 Rent an ice house on one of the many area lakes including Ten Mile Lake and experience the unique Minnesota pastime of ice-fishing. 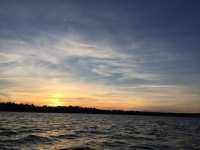 Even in winter, walleye, perch, crappies, and panfish are plentiful. Visitors can enjoy riding a snowmobile through the snowy wilderness on specially designated trails. The annual "Back to Hack" celebration in January is an excellent time to visit and features many family friendly winter events. No matter what type of accommodations you seek, you are sure to find the perfect spot in or around Hackensack. 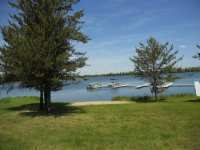 Tent and RV camping sites are plentiful around the crystal clear waters of area lakes. 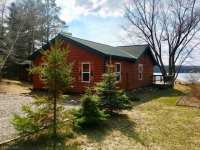 Cabins and vacation homes as well as plenty of lake lots abound on Birch Lake and the nearby Leech Lake. For a bit of pampering, check out one of the resort properties. Many of the historic area resorts were established in the 1940's and 1950's and offer the opportunity to escape from modern distractions such as television, video games and computers. 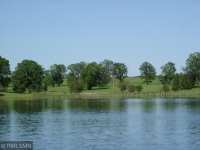 With its quiet charm and unrivaled natural beauty, Hackensack, MN is a great choice for your next family vacation!